There comes a time when the maternity is close to an end and you still crave for time to spend with your little bundle of joy. Many moms have devoted their lives to raising the young ones while they never stop working for a minute. Learn what are the benefits of combining child upbringing and career and the best options to pursue. The part-time job will keep you ready for job market re entry. A lot of careers change rapidly due to advancing technology. Finding a not so full time work place can actually benefit as it will keep your skills up to date. The house chores never end. But having a work schedule will definitely remind you that you have things to do each day - getting paid is a great reminder. Working gives you the opportunity to develop new skills and meet new people – all benefits that extend beyond your paycheck. You already know that the job market is unstable and the economy challenging. Even more families need at least two incomes to keep home budget balanced. Part time job will be helpful. 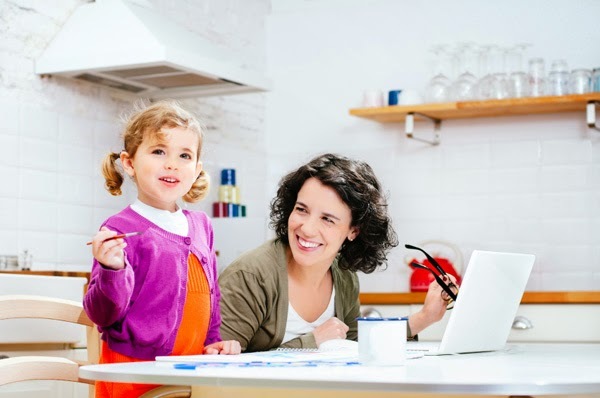 Home teacher – if you have been working as a teacher before birth, part time lessons will be welcomed to help the family budget. Caterer – you may have discovered your passion for cooking and baking during maternity and now have a new target market – all those family friends that want a home celebration of their holidays. Professional cleaners – when total sanitation and disinfection have become your priorities, why not take advantage of that knowledge you have acquired and get paid for it? You would probably have turned into an expert of Eco-friendly and budget-safe regular domestic cleaning. Small business owner – maternity opens a whole new horizon of abilities that you acquire and if you are an entrepreneur, you would use it to open your own business with your own work hours.